Don’t banish the carbs.. embrace the right ones! Giving Tree gives the low down on carbs.. When out for dinner, it’s often now perceived as a bit of a taboo to grab those hot crusty bread rolls from the middle of the table, and asking for wholegrain rice or quinoa as a side is quite the norm. Thanks to popular carb-avoiding diets such as the Atkins and more recently the Paleo lifestyle, the once well loved staples such as rice, bread, potatoes and pasta – even poor old porridge, once considered breakfast of champions are slowly diminishing.. But are theses cupboard staples really so bad for us? Or are we just getting ployed into a big old marketing ploy of the new power grains? In the last 12 months, sales of bread in Britain’s supermarkets has dropped by 8.9 per cent, according to a report by market analysts Nielsen. Even in Italy, pasta the staple of Italians.. has dropped by a staggering 25 per cent since 2009. 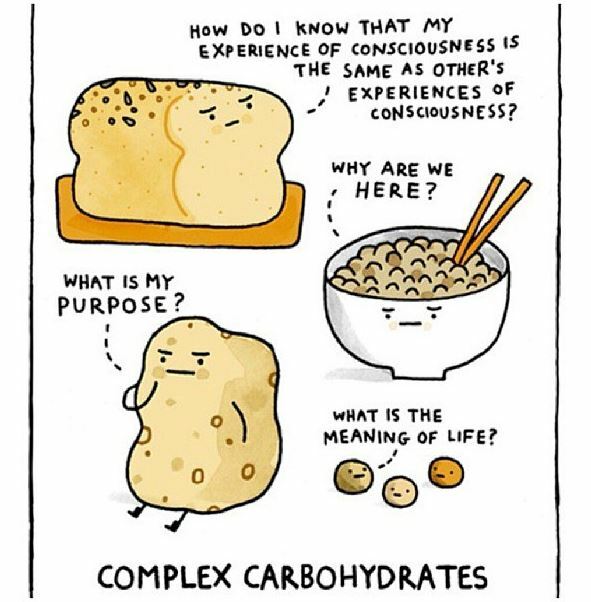 So what is the science behind all the talk.. Well first of all, carbs play a crucial part of giving us energy which when we’re active in particular, is so important. 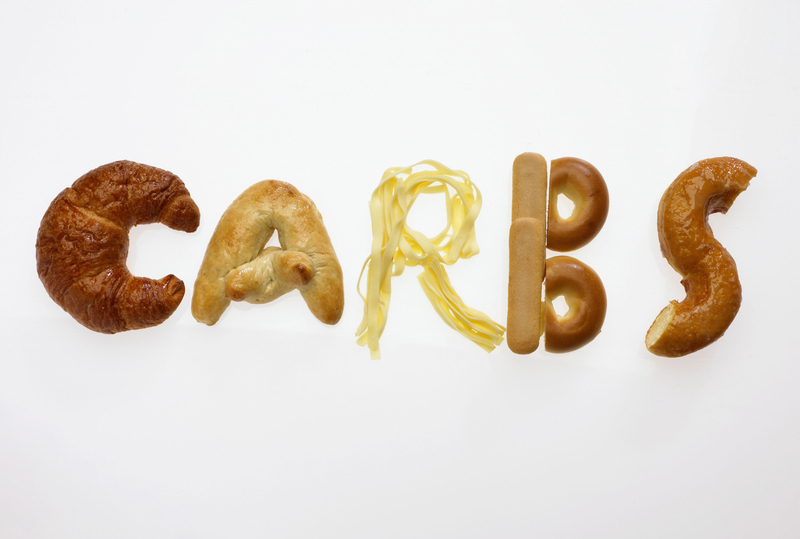 Often getting rid of carbs can make people feel fatigued. This is because when we eat carbohydrates, they turn into glycogen in muscles which is the fuel that keeps us going during exercise and when we are working out. Not only that though, when we eat carbohydrates, they turn into glycogen in muscles, which is the fuel that gives us the kick we need for maintaining exercise. Nutritionists and health care professionals will always advise that eating the right types than none at all could be the key to keeping us more satisfied, increase our energy and actually aid weight loss. For these experts, white and processed carbohydrates such as sugars, pasta, commercial breads, rice and potatoes should be replaced by slowly digestible complex carbohydrates, served in their most natural states. These types of carbohydrates are low on the Glycaemic Index (GI) which relates to how quickly they turn to glucose in our blood stream; low is usually considered 55 or less (you can find a list at glycaemicindex.com). 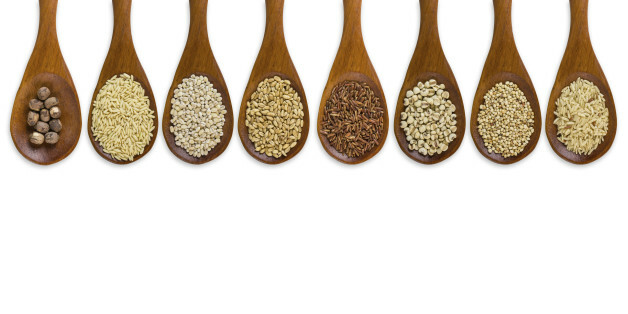 Along with slow release carbohydrates comes the famous and fashionable quinoa, a healthy grain much loved with many foodies. These super grains are high in fibre, meaning you’re likely to get fuller with smaller portions, very useful for weight loss! Not only that though, they’re higher in nutrients for example – a sweet potato contains more betacarotene than a white potato. Here are a few other top complex carbs that you’re most likely going to start seeing a lot this year of..
A tiny grain – whose colour can range from white and beige to deep red and black – is gluten-free, high in protein, calcium, potassium and magnesium. Great in stews or salads, it boils like rice and can be popped to achieve a popcorn-like effect. When cooked with coconut milk, it makes for a soothing porridge – as recommended by Hemsley & Hemsley. Similar to barley. Rich in fibre, magnesium and vitamins A, E and B, its wholewheat kernels are sweet and chewy, with a higher carb content than quinoa but with more calcium. Simmer on a low heat to make a nutty risotto. An unprocessed form of wheat but higher in protein and B vitamins, the high-fibre flour is great for general baking. Wheat and gluten-free, with all essential amino acids, high in protein and magnesium. The flour makes great pancakes and studies have found it helps lower blood sugar so might be helpful for diabetics. A young green wheat that tastes smoky and is great used as a stuffing for poultry or side dishes. Lastly, don’t forget fruit and veg are carbohydrates too – aim to eat 5-7 varied portions of fruit and veg combined a day and ensure when consuming fruit you remember fruit is high in sugar too but in moderation this type of sugar is much better than having refined, processed sugared foods. Try our Giving Tree fruit and veg snacks in 7 different varieties!